Home Politics IMO-NORTH SENATORIAL TUSSLE: GROUPS SEEK SEN BEN UWAJUMOGWU REELECTION. 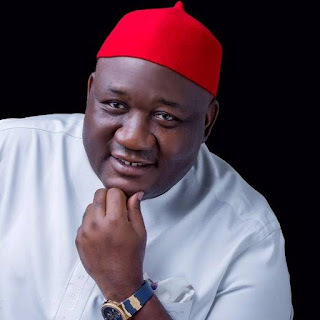 IMO-NORTH SENATORIAL TUSSLE: GROUPS SEEK SEN BEN UWAJUMOGWU REELECTION. The recent appraisal of Imo North Senatorial tussle in Imo state may have discovered continuity as the only path to better leadership and governance in the constituency, as Senator Benjamin Uwajumogwu, an experienced leader, with a visionary mandate and the Senator representing Okigwe Senatorial district of Imo state, remains the most qualified, dedicated and most responsible to continue in his strides of achievements and commendable initiatives in the constituency. He is one amongst few Senators in Nigeria that is committed to inclusive and collective governance, especially with major emphasis on youths and women. As an APC candidate, he has played several roles at ensuring the entire growth and sustainability of the party in Imo state and Nigeria. According to the Senator, his mandate for reelection is to establish a platform for more integrated accessibility, youth inclusiveness and unequivocal continuity of ongoing projects in his constituency. Senator Ben has always been the choice of Okigwe senatorial zone in Imo state. He has initiated and sponsored several projects that cuts across empowerment, infrastructures, education and the provision of basic amenities in communities that are deficient. As we countdown to the elections in Imo state, youth groups- Federation Of Ignoring youths, women associations and other socio-political groups in Imo north senatorial zone, have thrown their unchallengeable support behind Senator Ben, calling on his reelection in the zone.